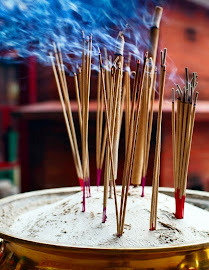 We will be posting new, fresh information and in-depth reviews on mainly the higher quality incense brands. Hopefully this site will appeal to the connoisseur as well as the novice. Please visit often. Tendan Fine Sandalwood Incense is IN STOCK NOW! All Content is Copyrighted and All Rights Reserved Copyright© 2010-2015. Awesome Inc. theme. Powered by Blogger.